Love, love, love the railings. Just stained them this week and they look great. These pics are older. I will have to find other pics. Deck railings are the most important features of your new deck so it is important to choose the most suitable and attractive rail that compliments the looks of your house combined with that perfect variety of decking material, style and color. 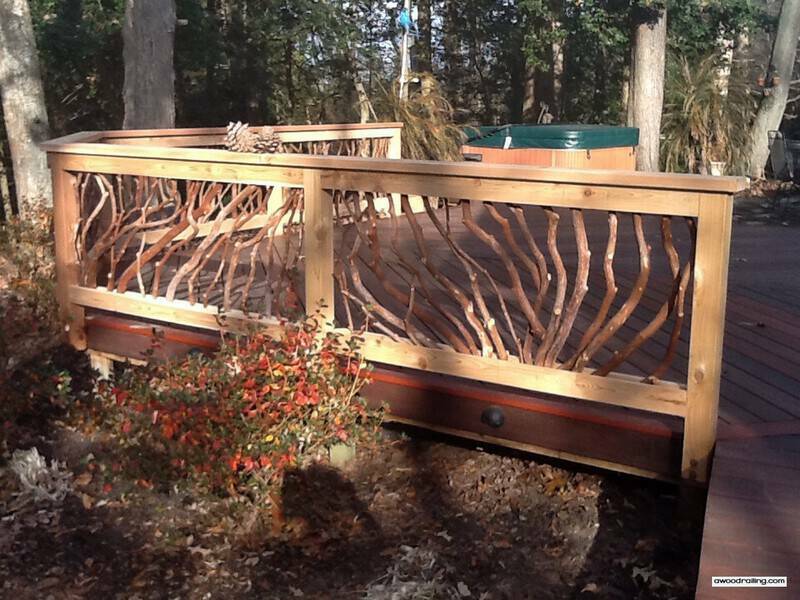 Handling clients since 2010, Mountain Laurel Handrail creates the most authentic and gorgeous looking deck railings crafted to perfection. MLH employs the most skilled craftsmen to complete every order of woodworks with precision and technique bringing you the most unique element of your home décor. 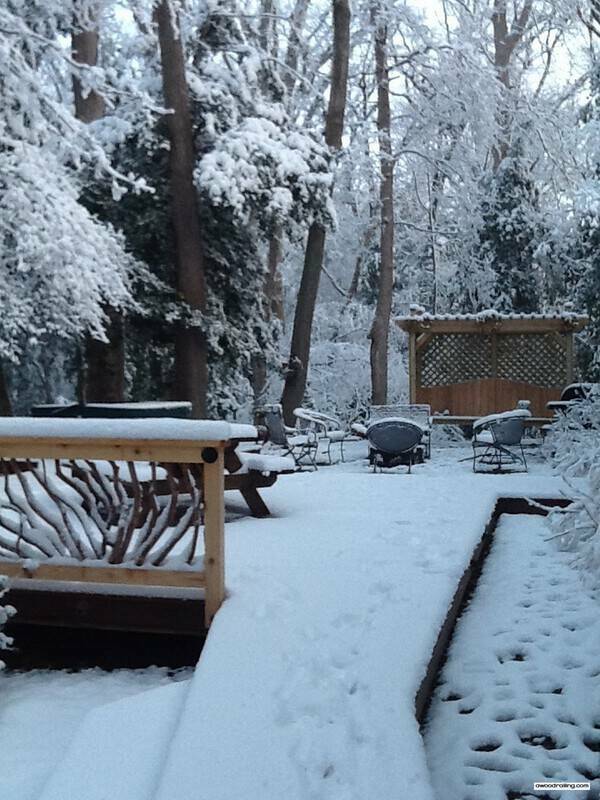 Now in Delaware the season and the environments asks for a specific type of material and ideas for the deck railing. 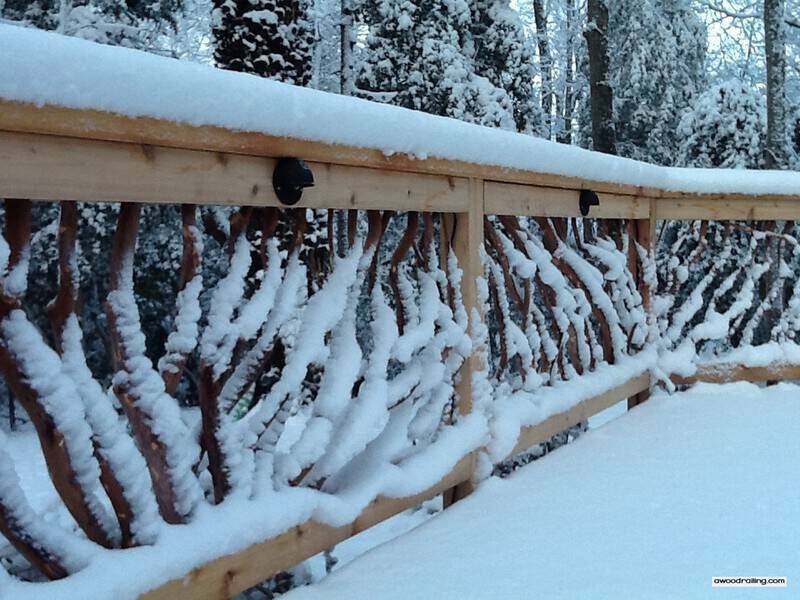 Mountain Laurel Handrail offers every specialization for any place you like concerning any weather providing durable woodwork that lasts for a lifetime, all over the country. 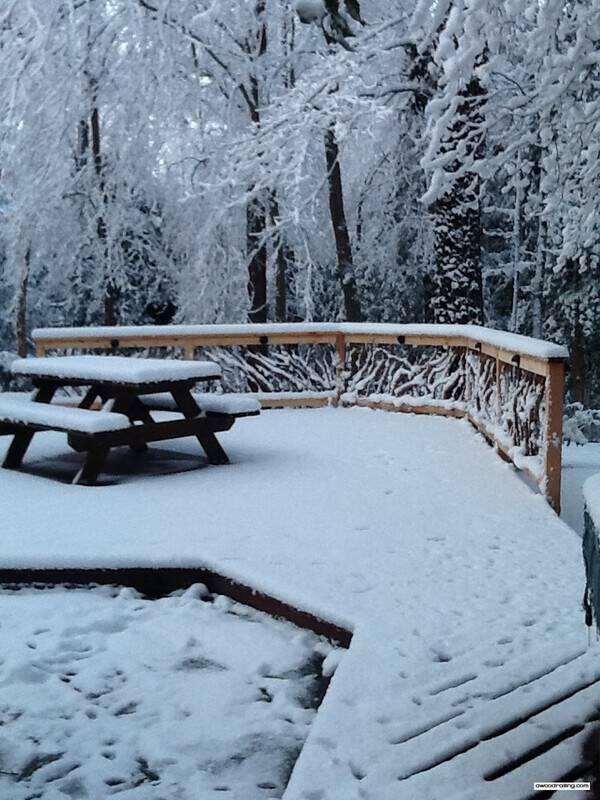 You have your Winter Wonderland Wood Railing, Delaware Deck Railing, Snowy Railing and Picnic Table, Snowy Deck and Railing, Short Stair Railings, Deck Railings in the Delaware Sun and Deck Railing with a Hot Tub. 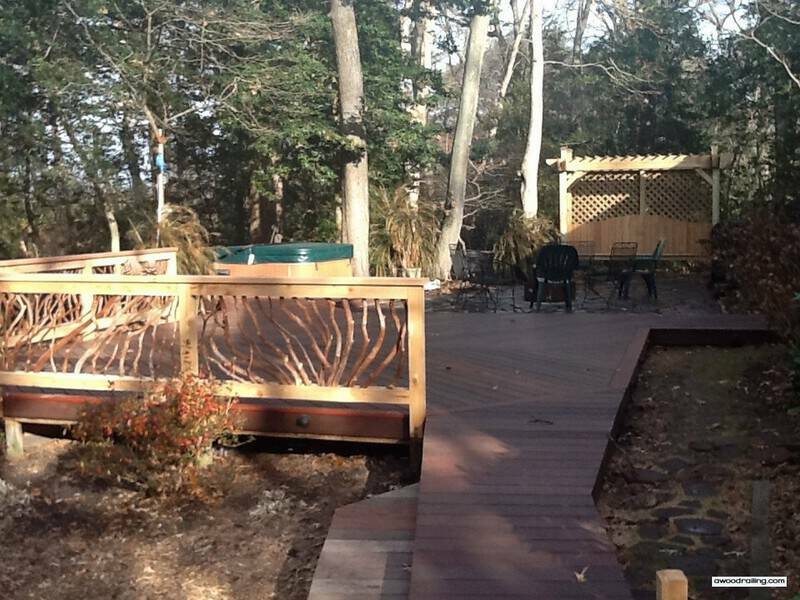 These are the types of deck railings that MLH provides to all of its customers specified to Delaware. 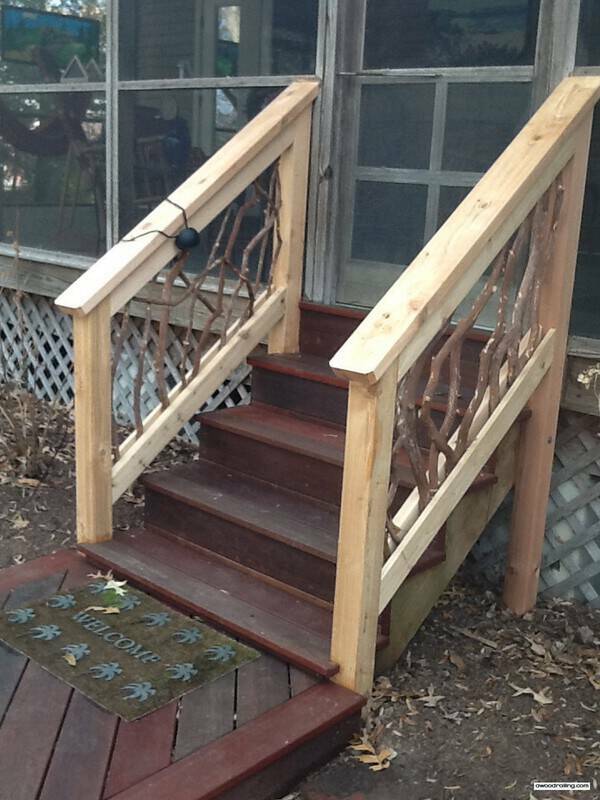 Providing rhythm and theme in the complex railing designs, Delaware Deck Railings are the perfect thing to go by with that new deck of yours. Offering performance, look and safety and providing a great visual value and the woodwork offering a traditional outlook to the entire deck. With the visual flair this isn’t another deck installment, this is a piece of art. 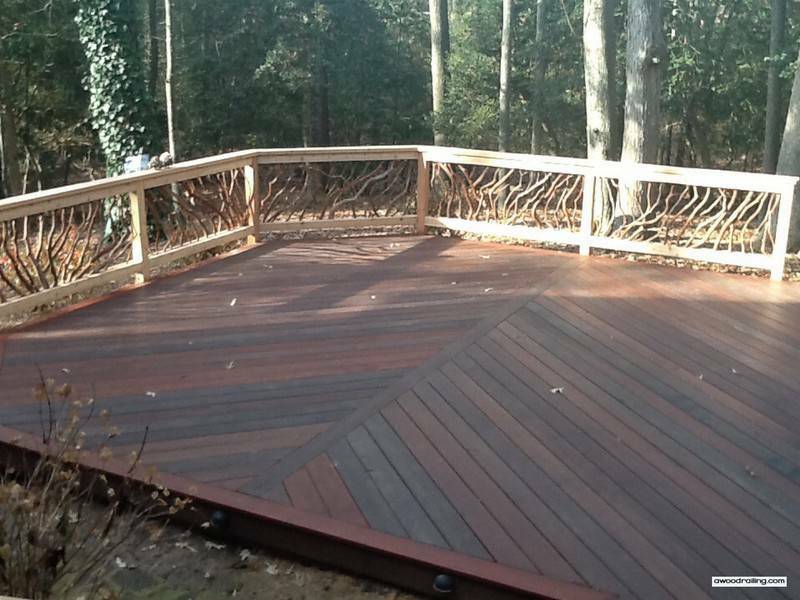 At Mountain Laurel Handrail we have it all to provide you with the best quality framework for your deck.